Open Enrollment, the time designated to enroll in or change your qualified health plan, begins November 15th. That’s less than three weeks away! Understanding the basics can help you take advantage of this important time period. 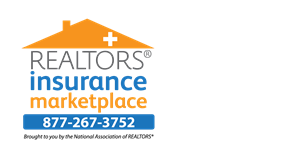 Brought to you by REALTORS® Insurance Marketplace, part seven of this nine part series will help you learn important facts about this year’s Open Enrollment. 7. The Tax Penalty for not having a qualified health plan increases in 2015, 2016, and beyond. Each year, the penalty for not having a qualified health plan increases. In 2014 it was $95 per person for the year ($47.50 per child under 18), or 1% of your yearly household income whichever is greater). For 2015, the penalty will be $325 per person or 2% of your yearly household income. In 2016, it will be $695 per person or 2.5% of your yearly household income. As time goes on it will continue to be adjusted for inflation. For more information please watch for our next part in this nine part series, posted weekly. Open Enrollment begins in just four weeks! Understanding the basics can help you take advantage of this important time period. Brought to you by REALTORS® Insurance Marketplace, this nine part series will help you learn important facts about this year’s Open Enrollment. Open Enrollment, which begins November 15th is only five weeks away. Understanding the basics can help you take advantage of this important time period. Brought to you by REALTORS® Insurance Marketplace, this nine part series will help you learn important facts about this year’s Open Enrollment. 5. Qualified Health Plans, defined. Under the Affordable Care Act, an insurance plan must be certified, provide essential health benefits (see list below), follow established limits on cost-sharing (deductibles, co-payments, and out-of-pocket maximums), and meet other requirements. Plans that meet this requirement are called Qualified Health Plans (QHP).